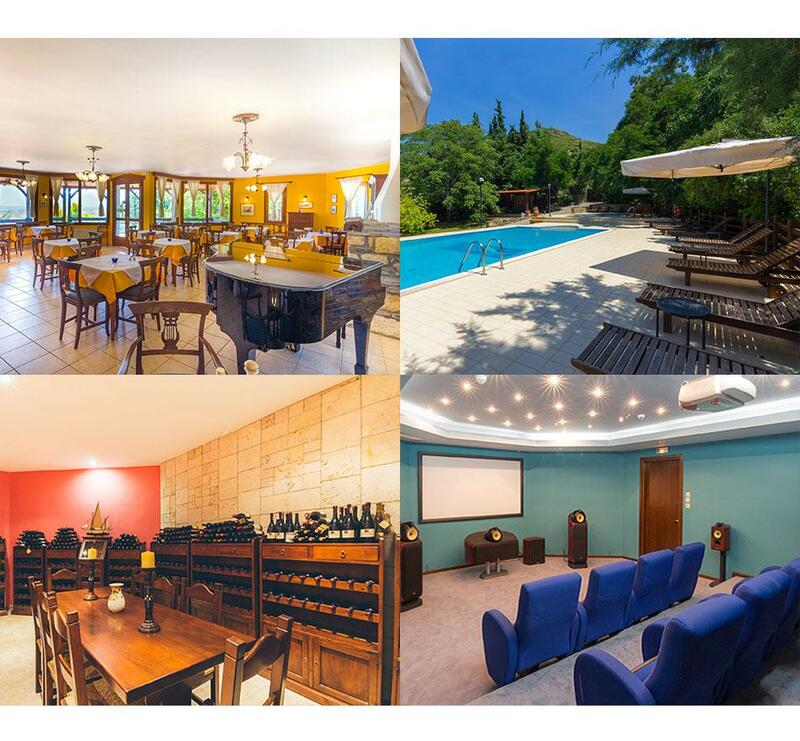 FilosXenia Roxani Country House Hotel is a cozy country style property situated at Maronia Village, Komotini, overlooking at the slopes of Mount Ismaros and the Thracian sea. Built in a lush garden of 20.000m2 and crossed by a stream bordered with plane trees, Roxani hotel offers comfortable accommodation and many leisure facilities. At the Restaurant we serve breakfast in buffet style.The guests can also enjoy lunch and dinner from our a la carte menu next to the fireplace or outside at the veranda. At the Lobby Bar you can enjoy your drink, cocktail or coffee at the lobby area the veranda overlooking the Thracian Sea or enjoying the sun at the sunbeds of the pool. The Wine cellar is located at the basement of the main building. Guests can enjoy and taste wines with a cheese plate or combined it with a menu. The wine tasting is upon request. Guests can enjoy the sun or swim in the fresh water outdoor Swimming pool. The hotel offer one adults and one children swimming pool. For the evening entertainment of its guests, hotel Roxani offers a modern 12 seated inhouse Cinema. Enjoy the cozy ambiance, the relaxing surroundings and scenic views at Roxani Country House Hotel. A significant variety of accommodation options awaits you at the hotel, including Double Rooms, Triple Rooms and Classical Suites. All the rooms are equipped with A/C, mini bar, satellite TV, hair dryer, iron boards, irons and bathroom amenities, while the 1st floor rooms also have balconies. 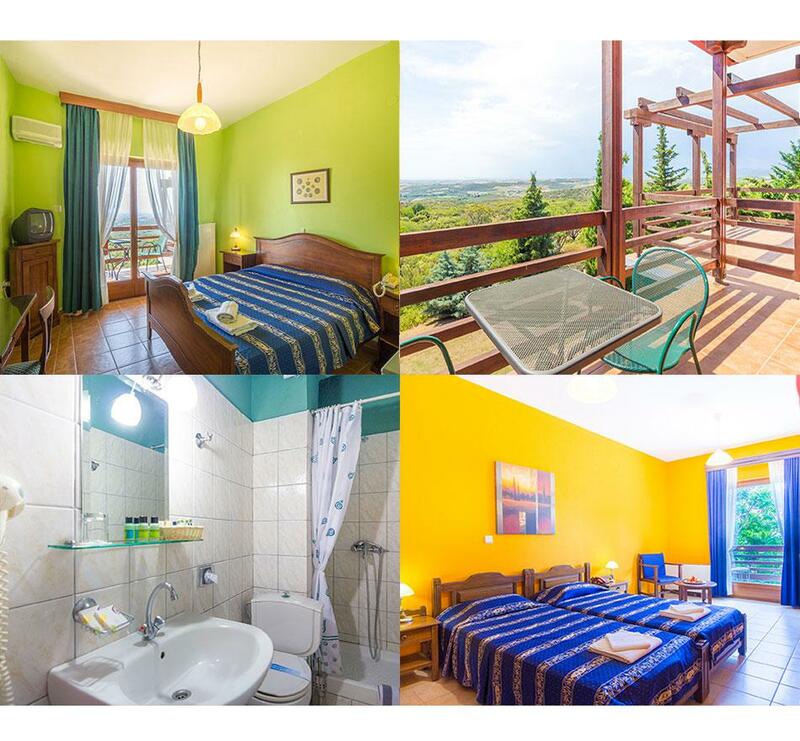 Some of the rooms offer relaxing land-sea views while others overlook the lush surrounding garden and the mountains.